The Truckee River, from the start of its journey in the Sierra Nevada Mountains to Pyramid Lake in Nevada, is famous for its whitewater rafting, river floating and extraordinary fishing. Four Seasons Fly Fishing in Tahoe is an excellent way to learn a new skill or hone an existing one while reeling in some of the most splendid game fish the lake offers. Reno Fly Shop has everything you need to discover one of the best kept fly fishing destinations in the country. Love fly fishing? Sierra Fly Fishers has everything you need to enjoy one of the most spectacular fly fishing destinations in the country. Have a fantastic time enjoying the calm waters or come as a group! Tahoe Fly Fishing Outfitters can prepare you for a wonderful day fishing! 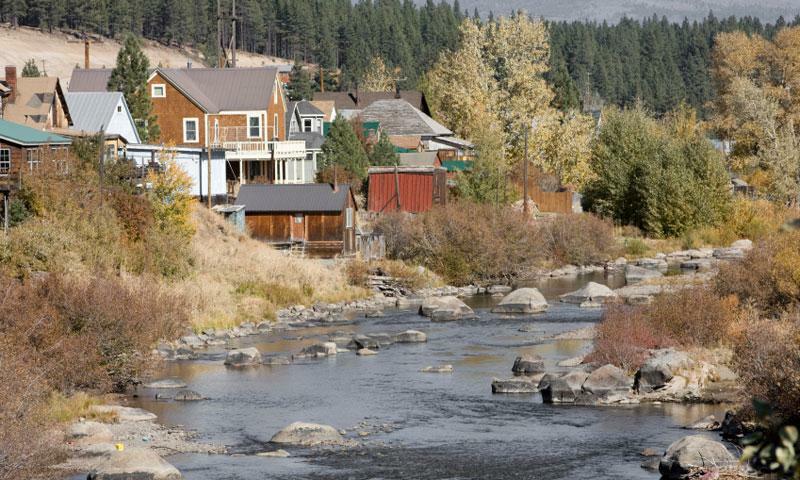 The Truckee River CA has provided outdoor lovers with premier recreation for decades. Located in the Sierra Nevada Mountains, it flows from Lake Tahoe near Tahoe City (the lake’s only outlet), through Truckee, California and into Nevada, covering about 120 miles. The Truckee River California has many access points. For whitewater rafting, you can find starting locations around Tahoe City on the west side of Lake Tahoe. For fishing, you can find a number of spots along Highway 267 near Truckee. The Truckee River is accessible all year. You will certainly find some trophy trout in the Truckee, but you have to use all your wits to outsmart those rainbows and browns. There are 12 miles of river that are excellent for fly-fishing below the town of Truckee, with a number of turnoffs where you can park. Towards Hirschdale you will find a bridge across the river where access to a few pools may just allow you to hook your catch of the day. 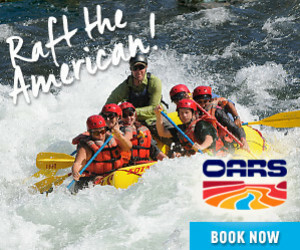 You will find many adventures by rafting on the Truckee! One of the most popular sections starts at Lake Tahoe’s outlet and runs for three to five miles. Class 1 and 2 rapids are fun to navigate for the whole family. In Reno, you’ll find a whitewater park in downtown for some Class 2 and 3 waters. If you begin your journey in the town of Truckee, you’ll find more challenging whitewater, of Class 3 . The first naming of this Sierra river was by Kit Carson. He called it the Salmon Trout River after the large cutthroat trout swimming upstream to spawn. Later, in 1844, a Paiute Indian Chief helped take an emigrant party across Donner Pass and out of gratitude, they named the river after him. According to legend, the Chief’s real name was Tru-ki-zo and it’s thought that “Truckee” comes from a distortion of this name. The Truckee River Watershed Council is dedicated to preserving and protecting the Truckee River's natural resource. The Truckee River Foundation strives to encourage responsible river related activities on the Truckee River. The Truckee River Fund is dedicated to the protection and enhancement of the local water resources. The Truckee River Info Gateway is dedicated to performing research on and preserving water quality within the Truckee River.